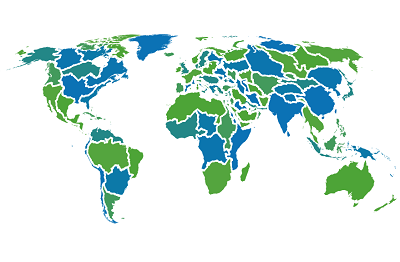 The map depicts the aggregated freshwater biodiversity intactness, results of the global model GLOBIO-Aquatic that assesses the dominant human impacts on inland aquatic biodiversity and allows future projections. Alkemade, R., Van Oorschot, M., Miles, L., Nellemann, C., Bakkenes, M., Ten Brink, B., 2009. GLOBIO3: A framework to investigate options for reducing global terrestrial biodiversity loss. Ecosystems 12, 374-390. Beusen, A.H.W., Van Beek, L.P.H., Bouwman, A.F., Mogollón, J.M., Middelburg, J.J., 2015. Coupling global models for hydrology and nutrient loading to simulate nitrogen and phosphorus retention in surface water - description of IMAGE–GNM and analysis of performance. Geosci. Model Dev. 8, 4045-4067. Biemans, H., Haddeland, I., Kabat, P., Ludwig, F., Hutjes, R., Heinke, J., Von Bloh, W., Gerten, D., 2011. Impact of reservoirs on river discharge and irrigation water supply during the 20th century. Water Resources Research 47. Bouwman, A.F. e.a., 2011. Exploring Global Changes in Nitrogen and Phosphorus Cycles in Agriculture, Induced by Livestock Production, Over the 1900-2050 Period. Proceedings of the National Academy of Sciences of the United States (PNAS) doi:10.1073/pnas.1012878108. Döll, P., Lehner, B., 2002. Validation of a new global 30-min drainage direction map. Journal of Hydrology 258, 214-231. Fekete, B.M., Wisser, D., Kroeze, C., Mayorga, E., Bouwman, L., Wollheim, W.M., Vörösmarty, C., 2010. Millennium ecosystem assessment scenario drivers (1970–2050): climate and hydrological alterations. Global Biogeochemical Cycles 24. Janse, J.H., Kuiper, J.J., Weijters, M.J., Westerbeek, E.P., Jeuken, M.H.J.L., Bakkenes, M.Alkemade, R., Verhoeven, J.T.A., 2015. GLOBIO-aquatic, a global model of human impact on the biodiversity of inland aquatic ecosystems. Env. Sci. Pol. 48: 99-114. Janse J.H., Bakkenes, M., Meijer, J. (2016). Globio-Aquatic, Technical model description v. 1.3. PBL Publication nr. 2829. Available on www.globio.info. Karr, J.R., Chu, E.W., 2000. 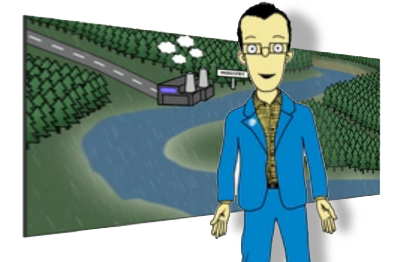 Sustaining living rivers. Hydrobiologia V422-423, 1-14. Kourzeneva, E., 2010. External data for lake parameterization in Numerical Weather Prediction and climate modeling. Boreal Environment Research 15, 165-177. Kuiper, J.J., Janse, J.H., Teurlincx, S., Verhoeven, J.T.A., Alkemade, R., 2014. The impact of river regulation on the biodiversity intactness of floodplain wetlands. Wetl. Ecol. Manage. 22, 647-658. Ladson, A.R., White, L.J., 1999. An index of stream condition: reference manual, 2nd ed. Dept. of Nat. Res. and Env., Melbourne, Austr. Lehner, B., Döll, P., 2004. Development and validation of a global database of lakes, reservoirs and wetlands. Journal of Hydrology 296, 1-22. Lehner, B., Liermann, C.R., Revenga, C., Vörösmarty, C., Fekete, B., Crouzet, P., Döll, P., Endejan, M., Frenken, K., Magome, J., Nilsson, C., Robertson, J.C., Rödel, R., Sindorf, N., Wisser, D., 2011. High-resolution mapping of the world's reservoirs and dams for sustainable river-flow management. Frontiers in Ecology and the Environment 9, 494-502. MEA, 2005. Ecosystem and human well-being: wetlands and water synthesis. Millennium Ecosystem Assessment, World Resources Institute, Washington, DC. Morée, A. L., Beusen, A. H. W., Bouwman, A. F. and Willems, W. J., 2013. Exploring global nitrogen and phosphorus flows in urban wastes during the twentieth century. Global Biogeochem. Cycles 27, 836–846, doi:10.1002/gbc.20072. OECD, 2012. OECD Environmental Outlook to 2050: The Consequences of Inaction OECD Publishing, Paris. PBL, 2016. The GLOBIO model. A technical description of version 3.5. PBL publication 2369, PBL Netherlands Environmental Assessment Agency. Available on www.globio.info. Revenga, C., Campbell, I., Abell, R., de Villiers, P., Bryer, M., 2005. 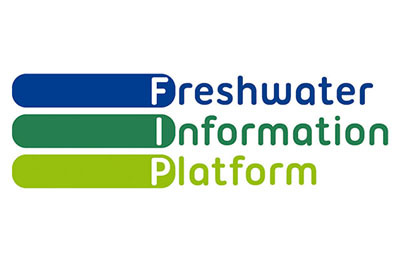 Prospects for monitoring freshwater ecosystems towards the 2010 targets. Philosophical Transactions of the Royal Society B: Biological Sciences 360, 397-413. Stehfest, E., van Vuuren, D., Kram, T., Bouwman, L., Alkemade, R., Bakkenes, M., Biemans, H., Bouwman, A., den Elzen, M., Janse, J., Lucas, P., van Minnen, J., Muller, M., Prins, A., 2014. Integrated assessment of global environmental change with IMAGE 3.0. Model description and policy applications. PBL Netherlands Environmental Assessment Agency. Van Asselen, S., Verburg, P.H., Vermaat, J., Janse, J.H., 2013. Drivers of wetland conversions: a global meta-analysis. PLoS ONE 8: e81292. Van Beek, L.P.H., Bierkens, M.F.P., 2009. 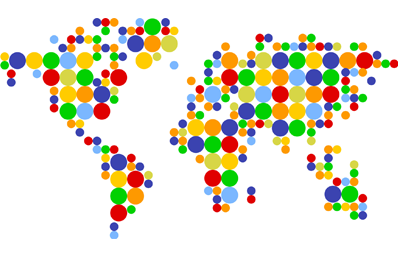 The global hydrological model PCR-GLOBWB: conceptualization, parameterization and verification. Dept. of Physical Geography, Utrecht University, Utrecht. Van Beek, L.P.H., Eikelboom, T., van Vliet, M.T.H., Bierkens, M.F.P., 2012. A physically based model of global freshwater surface temperature. Water Resources Research 48, W09530. Van Beek, L., Wada, Y., Bierkens, M.F., 2011. Global monthly water stress: 1. Water balance and water availability. Water Resources Research 47. Van Drecht, G., Bouwman, A.F., Harrison, J., Knoop, J.M., 2009. Global nitrogen and phosphate in urban waste water for the period 1970-2050. Global Biogeochemical Cycles 23, GB0A03, doi:10.1029/2009GB003458. Weijters, M.J., Janse, J.H., Alkemade, R., Verhoeven, J.T.A., 2009. Quantifying the effect of catchment land use and water nutrient concentrations on freshwater river and stream biodiversity. Aquatic Conservation: Marine and Freshwater Ecosystems 19, 104-112. Global Lakes and Wetlands database, 30x30 arc minutes (Lehner and Doll, 2004). This work is part of the Global Biodiversity Project of the Netherlands Environmental Assessment Agency (PBL). The help of many colleagues at PBL, Utrecht University, Wageningen University and others involved in his project is gratefully acknowledged.